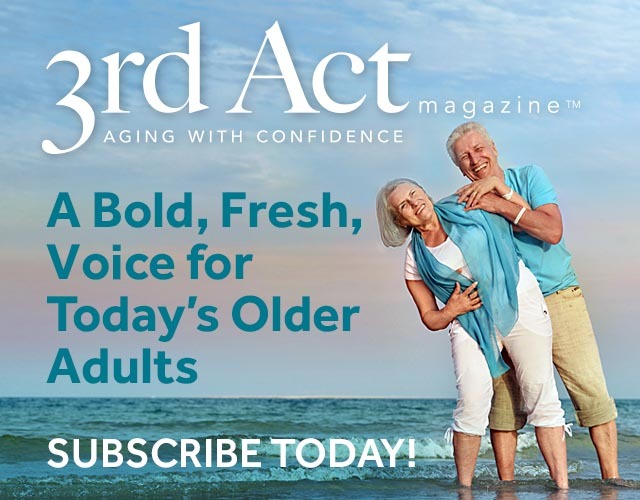 As a professional in retirement living with a background in health and human services, I am fascinated with aging and the best ways to foster happiness as we grow older. The happiness and well-being of residents is always a priority, and retirement communities work hard to provide environments conducive to happiness. But as a wise friend recently reminded me, no outside person or place can make you happy. 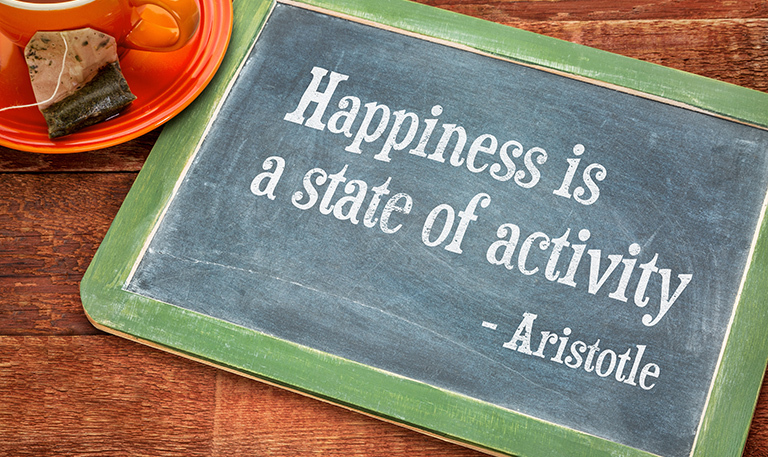 Happiness is an inside job. Yet I’ve noticed that the happiest people are those who are the most engaged with others. And sometimes, this happens without any professional help at all. Let me offer an example from our community. A housekeeper noticed that six ladies that she cleaned for all had their sewing machines set up in their separate apartments. She said to them, “Wouldn’t it be fun to sew together?” Within five days, 15 women gathered to discuss doing this. Within a month, they had sewn over 80 pillows for a hospice center. The sewing enthusiasts got to know each other, and they started a fire fueled by a shared passion, not by the community’s activity program coordinator. Watching can be a positive experience, like going to a movie. You might talk with a friend about your impressions of the movie on the way home. But the next day, you are over it. Participating can deliver a higher level of aliveness. Getting off the bench and joining the game allows you to emerge as a person. That investment of yourself in an activity becomes the most important part of the activity, and the giving of yourself is what nourishes the soul. Engaging, being involved in a passion with others who share the same passion, is where people become most highly alive. Most retirement communities provide opportunities to do all three. There’s entertainment like movies and concerts, all passive but enjoyable experiences. Participating in a painting class can be fun. But if you are a rabid gardener and you are gardening with other avid gardeners, it fills you up with a sense of purpose, joy, and creative energy—and you find friendship with others. (You can change the word gardener to stamp collector, artist, or flute player.) Shared passion is the juice that feeds the soul. Engage in what matters to you, and you will live fully. Jane Meyers-Bowen has a master of nursing degree and is the marketing director at Garden Court Retirement Community. For more information, call her at 425-438-9080.